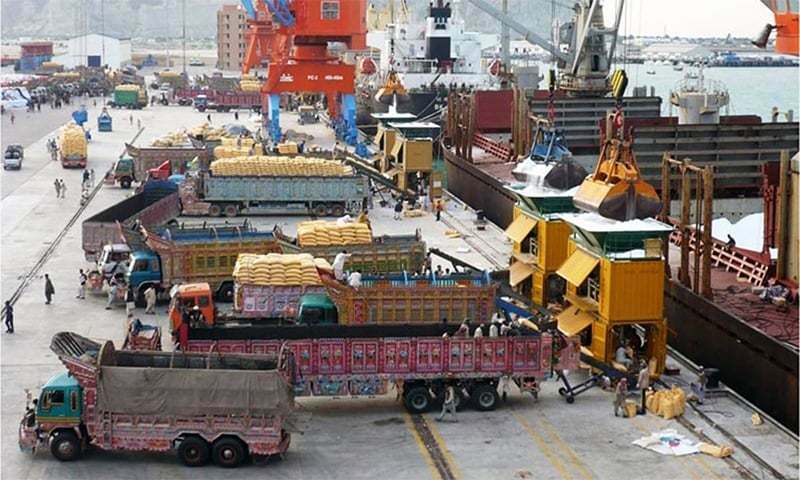 KARACHI: The Balochistan cabinet was left shell-shocked at the end of a briefing on the progress of CPEC projects in the province when it was revealed that no progress has been made in any projects outside Gwadar and the meagre share of the province in the overall portfolio of CPEC projects. According to a source who was present during the meeting on Monday, which lasted all day, almost four hours were spent on the briefing from the cell. The major finding of the cell was that all projects connected with the western route have seen no progress whatsoever, and the overall size of the portfolio of CPEC projects in Balochistan is miniscule where less than 9 per cent of the total committed, around $5.5 billion, is for the province and less than $1bn has been spent in four years. Of this $1bn, around $200m is accounted for by the Hub power plant. The cabinet members described the CPEC spending thus far as “a joke” and they blasted the previous government for its inaction. In the energy sector, the cabinet was informed that the current shortfall of 700MW in the province means that all the new power injected into the grid as a result of CPEC power projects has not found its way to Balochistan and that Makran Division has still not been connected to the national grid. Two projects negotiated by the previous government — Quetta Mass Transit and PAT feeder to Quetta water project — will both be revisited by the new government. “The debt and liabilities of both projects will be borne by the Government of Balochistan and the costs revealed in the feasibility are very high,” according to the source. The Quetta Mass Transit cost, for example, is $912m which is larger than the total development budget of the provincial government. The cost of land acquisition, displacement and resettlement and income tax and customs duties are not included in this figure. For the PAT feeder, the water will need to be pumped up to an elevation of 6,000 feet across a distance of 280km to reach Quetta, using 9 pumping stations at different points across the pipeline. The project cost is Rs40bn, also to be borne by the Balochistan government. 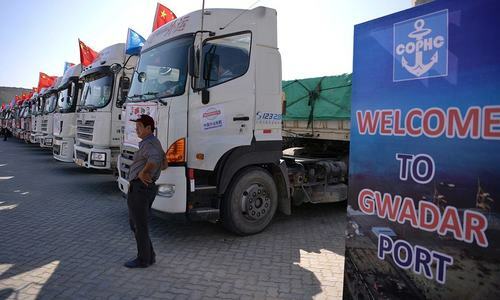 Outside of Gwadar, the cabinet was informed that the roads of the western route have seen no progress, and more than half of the Balochistan component of the western route is still not officially part of the CPEC agenda. Without the inclusion of these projects in the agenda of the Joint Working Group on Transport and Infrastructure, the projects are not eligible for concessionary financing from CPEC funding lines. The federal government has committed to fund these from its development budget, but thus far the allocated funds have not been released despite a passage of three years. The cabinet members were also annoyed that the Hoshab-Basima-Sorab section of the road has been shown as part of the western route by the federal government even though this project began in 2006 and is part of the common alignment. The cabinet members agreed that the Balochistan government will take a bold and firm line for their province in the forthcoming Joint Cooperation Committee meeting scheduled to be held in Beijing next week. PTI Govt will fasttrack all projects under CPEC and establish Pakistan as a developed nation within a few years. To say shell-shocked and all will be too much melodrama. Who doesn't know that the Chinese simply wanted a big port and a road to that port so that they can strategically connect to the Indian Ocean. Why is a surprise? It has been very clear for a long time that the EASTERN ROUTE is all that the politicians care for - through Karachi / Lahore / etc. Doesn't it answer everything. That the world bank sponsored cell will find problems with cpec! Question China first and then the previous government, plus the managers, supervisors, higher authorities. Definitely there is corruption going on. And then we wonder why there is so much resentment within the province. All the Baloch want is a life of dignity, respect, and getting the support they deserve. If our federal government consistently fails to provide any of that, should we really be surprised or angry when they start demanding total freedom? There are four Chinese companies involved in CPEC who are alleged with corruption in their own country. Pakistan government should have taken note of it. Yes, here he goes again! Finally, something concrete to compare PML-N with PTI. One allegation against PML-N was lack of disclosure on CPEC. This now is being addressed, hopefully. CPEC was a blatant lie from PMLN. they deceive all other province, no doubt for PMLN Punjab mean Pakistan. Western route was a lie from Day first as it was a project initiated By Musharaf Govt with auspicious of Asian Development Bank. CJ must take notice and for form JIT immediately . Only hope for Pakistan is CJ Saqib Nasar rest is zero. @Sohail, previos corrupt government taking note on corrupt? It is time to stop ignoring Baluchistan and give it its share of resources and funding. I am hopeful that Chief Justice and the PM will take the necessary steps to address the injustice. @HashBrown®, You're totally confused. You can't even explain and substantiate your arguments/claims, let alone justify them. What else to be expected from so-called leaders of who were all neither "sadiq" nor "Ameen". Can anyone in the right mind will disagree with the reason of Baluchi's frustration. They have been treated as a second or third class citizen by the Punjab run establishment. They also are the sons & daughters of Pakistan. It is an encouraging & commendable sign that realization has come across to these representatives of people of Baluchistan that unless they don’t take bold steps in demanding equitable share in the CPEC, the economic fate of this backward province will remain obscured and unchanged. The CPEC being a game changer for Pakistan, has its major hub of activities ongoing at Gawadar port & it is no secret that its development has had very little economic impact over the local population.The stories of deprivation of the people who lost their ancestors land due enforced takeover through land acquisition act with little or no payments made, displacement of fishing village, to accommodate construction of Chinese resort, & allowing large Chinese launches, with fish catch processing units to fish in coastal waters, depriving the local fishermen of their livelihood, are widespread.The govt. must provide job training to locals in China, in order to bring economic prosperity to these poor families. We will pay the debt service ( Chinese will earn profit from loan ) and will earn only seven percent. What kind of deal is this? A high percentage of profits, for example 91% in the case of Gwadar port, go to China so does it matter? The moment when someone throws a bucket-full of water on your face and wake you up from your sweet dreams. I predict that this comments section will be unusually quiet today. @column "new power into the grid from CPEC has still not reached Makran division"
Prosecute them whoever is responsible. Why baluchstan need to begg for thier own natural resources !! PMLN is really stub in back of Pakistan. CPEC is for the benefit of China. 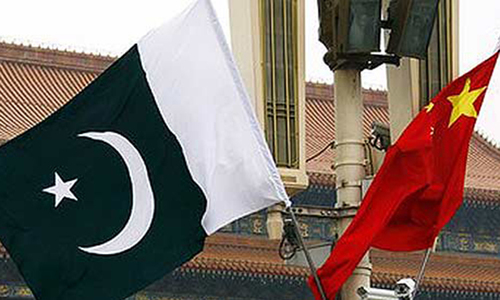 All the resources of Pakistan will work for China with some crumbs available for Pakistani public. For instance, the power project referred to in this article. Nothing for Balochs. All for CPEC. We support Baluchistan govt tough stance in interest if it’s people. Federal govt should facilitate Baluchistan government is alleviating these short comings by previous government. This is PMLN for you. Sucking all the funds for Punjab and left Gwader high and dry. CPEC is China Punjab Economic Corridor. Remove Pakistan add Punjab. Let Ehsan Iqbal be made responsible for this. Mr. Ahsan Iqbal always assured us that western route is prioritized and Baluchistan/KPK will get large share from CPEC. While the reality is that western route never existed. Mr. Iqbal was just getting fool out of poor people of Baluchistan. I am surprised that the leaders like Mir Hasil Bizenjo were complacent with corrupt Nawaz government for Balochistan rights. A great tragedy in balochistan intentionally keeping under poverty is human right violation. @Asifa, how absurd! The project is to be implemented in Pakistan and cannot be executed without the Government of Pakistan's agreement, then how come we should question China first? What the Hell Last government did with this Country ! It is sad to know this but can the Balouchistan Government tell that why it needed help to establish this cell with the help of World Bank? If it is so unable to do such a little thing, its doesn't deserve to govern the province. And also, as the IMF and WB are already strongly anti-CPAC; don't they know this? I am even so disappointed with the inability and ignorance of this provincial government. As always hate from across the border with fake names!! Wonder why always!! @Pakistani, its time to leave balochistan alone. People like Nawaz Sharif, Zardari and all the people behind these two have weakened Pakistan. Baluchistan with the smallest population should atleast have been developed by now - as I assume it is easier to develop a smaller population. Also, Baluchi state governments are also to blame for not following up and for not educating their citizens. @Zak, good morning.... wake up. Who cares for small province like Baluchistan , in this country ! Compare this with the development and progress in Indian part of Kashmir. While Kashmiri's need not be thankful, but acknowledge that India has done more than it can afford. Game Changer has Changed the Game. It is shocking for every Pakistani and it seems that all the resistance there is justified. Balochistan consists on 43% (nearly half) of total area of Pakistan having only 6% of population, whereas due to division of funds on the basis of population, the share of the province is very much less, that's why the province is far behind in its development. Area of the province must be considered in NFC award. Why are they shocked? they knew all this and some of them even got kick backs. CPEC cell with the help of World Bank !!!!! ............. what truth can emerge out of that ! @HashBrown®, I agree with you 100%. This is why we needed PM Imran Khan who does his job for the love of the country with passion. Balochistan government should learn how to look after its interests. Fight for your development rights. 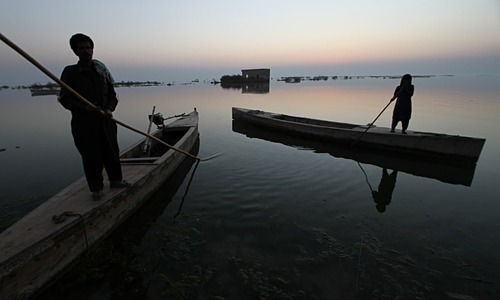 @srinivas, why not focus on Kashmir. It is strong perception among small provinces that CEPC is actually a Chine Punjab project. This is to fund projects like Lahore Orange line, metro buses in Lahore, Multan & Rawalpindi. In addition small provinces are only provided with dirty coal fired power plants to feed grids in Punjab. @Mohan , you are reading too much of your media. Just stay here for next 5 years, see the reality. Not an issue, thats what democracy is. PTI will address all the concerns. I think the same faces (so called "electables") were in the previous assembly as well. Isn't? Development free province. great job Naya Pakistan. @Fakhir , That's nothing new to the people of Baluchistan, and no news either. Now i truly hope the new government, instead of playing the blame game and wasting time, fixes this issue and transfers some of these projects towards Baluchistan ASAP. Why the Baloch Cabinet is "Shell Shocked" is beyond me. Were they expecting any thing different? Does that mean they were never aware of it until this point? Utter incompetence. What are they there for? It is their job to look into and fix such problems, rather than as a mughal emperor express his displeasure. I don't understand why the provincial government needed the world bank to audit CPEC projects. What kind of provincial government is this that doesn't even know where money is being spent. Why did a provincial government internationalize an internal issue with a party that has no interest whatsoever in seeing progress in Balochistan or Pakistan and whose only interest is in creating divisions and stalling progress on CPEC! The Balochistan govt. brought in the World Bank to audit CPEC spending? Is this a joke!? @Talat, sonu want to audit cpec by cpec itself?? Cpec shud reply to points raised if they wrong. Thats how audit is done i feel. As a Pakistani citizen, if you needed proof of how the people of Baluchistan have been over looked, look no further than the last five years, the previous government, and today's news.The previous government's complete focus was on their stronghold area, the Province of Punjab, that's it. Wait till the next elections, they will come with full force promising AGAIN how they'll liberate Baluchistan by building highways and motorways, bring electricity and so on. Proof is in the pudding, it was served today. @B.N.Gururaj, the expectation that an equal 25 percent will go to each province is unreasonable. this is not a geometry execise. the chinese want a road and port to transship goods, why is this any surprise? have people been sleep-walking. infrastructure is being built, roads, electricity, etc. that can be leveraged by the pakistani business community. stop blaming the chinese for being smart negotiators, blame zardari, the self-styled originator of CPEC, another BIG lie, and the Sharifs, suposedly businessmen, for blindly signing agreements. and, for the Chinese-hating Indians, pipe down. the indians are not party to CPEC. We dont need to hear your noise. @ashok, agree, indians should pipe down. they have all been sleeping before? You are right. It will take Pakistani Army, Politicians 5 more years to find out the truth of CPEC, and public 10 years. @Taimur, Only some, but these ‘ electibles’ were not ‘ corruptibles’. Shocked that cabinet is SHOCKED...... Shouldn't the Baloch cabinet be held responsible for planning, negotiating and execution of CPEC? @Zak, that is a good thought and yes fast tracking the projects may help. But remember fast tracking any project means that the money for materials and labour has to be paid faster too for completion so that will be a hurdle given the cash crunch. But I think the big issue is the lack of information which is making everyone unsure of what is involved with CPEC. Big question is that why is the cabinet of a province surprised or shocked by the development plans in their area and why are they in the dark?